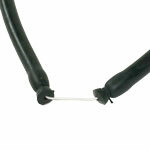 NOTE: We DO NOT recommend using knotted end wishbones on 20mm latex tubing. 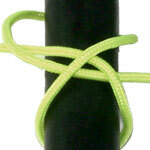 The tubing is so thick, the knots can slide out. 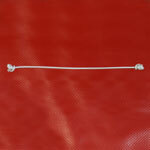 For 20mm latex tubing, we recommend the beaded wishbones. NOTE: Bridle wishbones are to be used only with shafts with "Sharkfin Tabs" or shafts with "rounded notches". 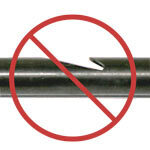 "Unrounded notched shafts" will cut through bridle wishbones. 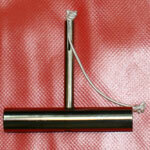 Measure and cut a 6 inch piece of Dyneema. 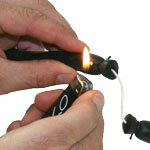 Knot both ends and burn to prevent fraying. 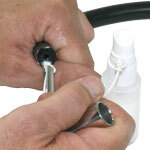 Spray knots with food grade silicone for ease of entry and use "straight end MAKO Wishbone Insertion Tool" to insert knots into latex tubing. 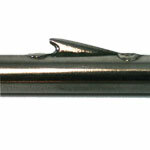 MAKO tool with "Flared End" is used for beaded wishbones. 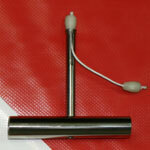 The flared portion holds the bead secure during insertion into the tubing. 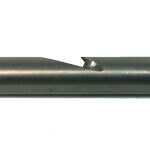 MAKO tool with "Straight" end is used for knotted end wishbones. 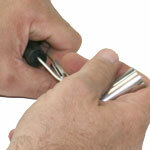 The straight end tool holds the knot secure during insertion into the tubing and allows the knot to stay inside the tubing upon removal. 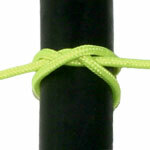 Use band tying line to tie a constrictor knot. 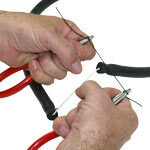 Line up constrictor knot and use pliers to tighten know. YOU MUST PULL HARD! 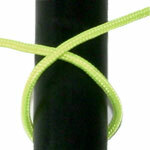 Then turn tubing over and tie a 2nd constrictor know on the back side of the tubing.